FROM THE PRINCIPAL: We have had an amazing start to the school year! We have settled into our routines nicely and already we are seeing some great examples of student leadership and kindness. The PALS program (Playground Activity Leaders in Schools) has started up again, ME2WE is doing a fundraiser for Hurricane Relief and we have had two excellent assemblies reinforcing the Tribes agreements. Our Grade 6s did a fantastic job of leading students during our Terry Fox walk and Tribes activities. We are fortunate to have more new staff who have joined our team: Sarah McGuire is new to daycare, Alison Murdock is a resource teacher supporting Cycle 1 students, and Lara Guenette and Sara Conway are teaching the Pre-Kindergarten program. As of our September 30th count, we have 334 students this year! There are many exciting extra -curricular activities for students: cross country and soccer teams, Wolf Girls running club, ME2WE, and many lunch hour clubs- coding, comic books, art club, ukulele, holiday choir, dance and yoga. The playground has a new addition: our train! Built by Russ Zeitz, the train is here and the kids are loving it! Work is beginning soon on the back area- clearing, leveling, adding fill and creating a slope to connect to the existing playground. This work will take about 4 weeks to complete. It will be completely separated from the other playground so that the students are safe. The K4 Program started last week and they are settling in nicely to the school. We are so happy to have them here! 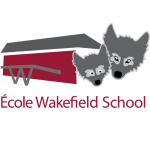 Wakefield Elementary Home & School Association (WEHSA) is up and running! They have organized pizza hot lunch which will be starting soon, and be on the look- out for new Wakefield School gear- coming soon! DENTAL SCREENING Mylene Chauret, our CLSC dental hygienist was here on October 3rd to provide dental screenings for our K4 and K5 classes. VACCINES Grade 4 Hepatitis B vaccines were given on October 4th. SOCCER A team of Grade 6 students will participate in a soccer tournament in Quyon on October 5th. CROSS COUNTRY Our cross-country team heads to Papineauville for regionals on October 6th. HOLIDAY The school and daycare are closed on Monday, October 9th for Thanksgiving. GOVERNING BOARD Governing Board will meet on Wednesday, October 11th at 5:30pm in the library. HOME AND SCHOOL There will be a Home and School meeting on Wednesday, October 18th in the library. PD DAY Friday, October 20th is a PD day. The daycare will remain open to those who pre-register. More information will follow.